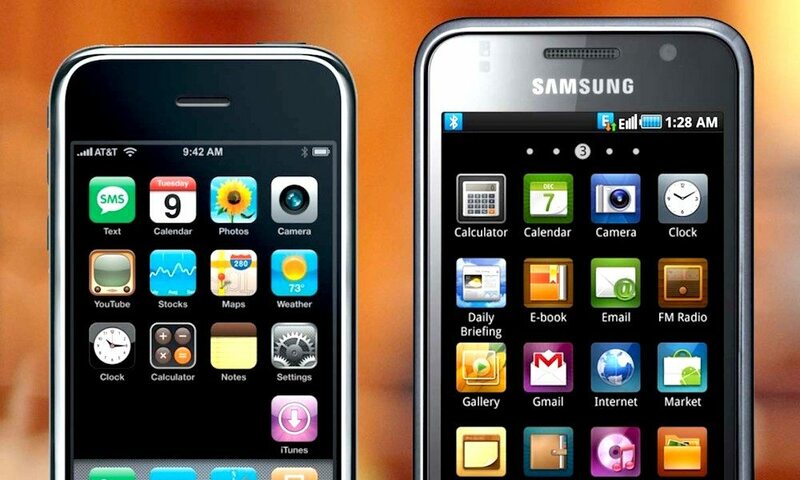 Apple and Samsung are back in court to resume their long-standing patent battle in San Jose, CA. Dating back to 2011, the dispute between the two tech giants began over an alleged patent infringement covering the original iPhone. The U.S. Supreme Court ruled in favor of Apple in 2012, noting that Samsung imitated elements of the iPhone’s design on its Epic, Gem, Captivate and Vibrant devices. The official verdict determined that Samsung infringed on three of Apple’s iPhone patents, the rectangular front face, rounded edges and the grid icons on a black screen on their now discontinued phones. Today’s ruling however is to reevaluate the amount Samsung must pay Apple in financial damages. Apple was awarded $1.5 billion by the jury during the first trial back in 2012 but the amount was quickly reduced after errors were found in the original calculations. During a retrial in 2013, Apple was awarded $290 million but Samsung appealed the decision to the Supreme Court, arguing that the damages from a single design patent would amount to the product’s entire profits. In 2016, a second retrial saw the Supreme Court siding with Samsung this time around, stating that damages should be based on the value of the components that were infringed upon, not the entire product. “In the case of a multi-component product, the relevant ‘article of manufacture’ for arriving at a §289 damages award need not be the end product sold to the consumer but may be only a component of that product,” said Justice Sonia Sotomayor according to official transcripts. Although Apple continues to seek full profits from the sales of the infringing phones, this retrial is expected to identify the amount of damages owed based on value of the features provided by the patents. “We welcome the District Court’s decision for a new trial. This is a historic opportunity to determine how the U.S. Supreme Court’s guidance on design patent damages will be implemented in our case and future cases” said Samsung’s official statement in 2017. Currently, Apple and Samsung remain the world largest smartphone makers. In the latest data provided by the global market intelligence firm IDC, Apple has dethroned the Korean giant, surpassing it in the worldwide smartphone market. The latest retrial is expected to last five days, with the jury to be selected Monday and opening arguments to follow Tuesday with neither company’s CEOs expected to make court appearances.